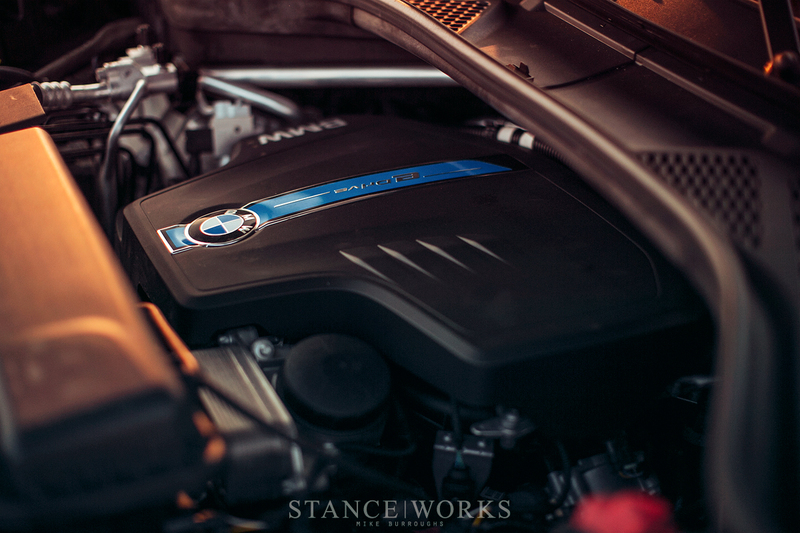 There's one thing we've never tried to hide here at StanceWorks. When it comes to cars, we show favoritism to the classics. Whether its European, American, or even Asian too, something resonates with us when it comes to old steel. After all, there's a reason that between all of the 20-something BMWs I've owned, only two have been newer than the 1980s. 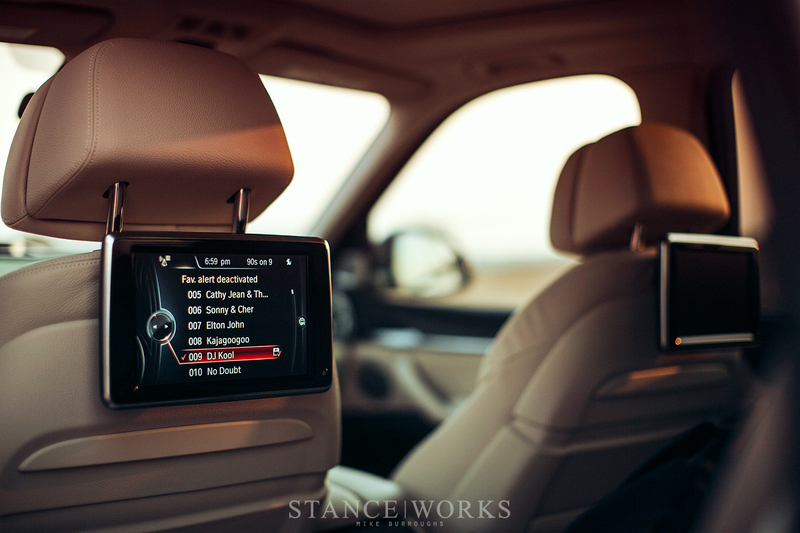 However, from time to time, we find ourselves behind the wheel of something a bit more modern. Occasionally it's a rental car - perhaps a Hyundai Elantra - that reminds us why we love classic cars. On the other hand, we sometimes find ourselves behind the wheel of something newer. 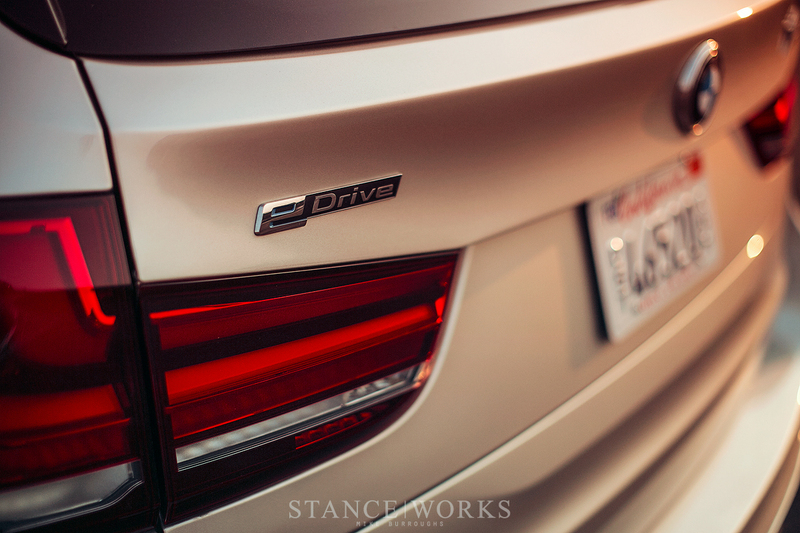 Recently, we were handed the keys to the new BMW X5 xDrive40e: a hybrid take on BMW's largest offering. We received the truck for our trip north to the Rolex Monterey Motorsports Reunion. 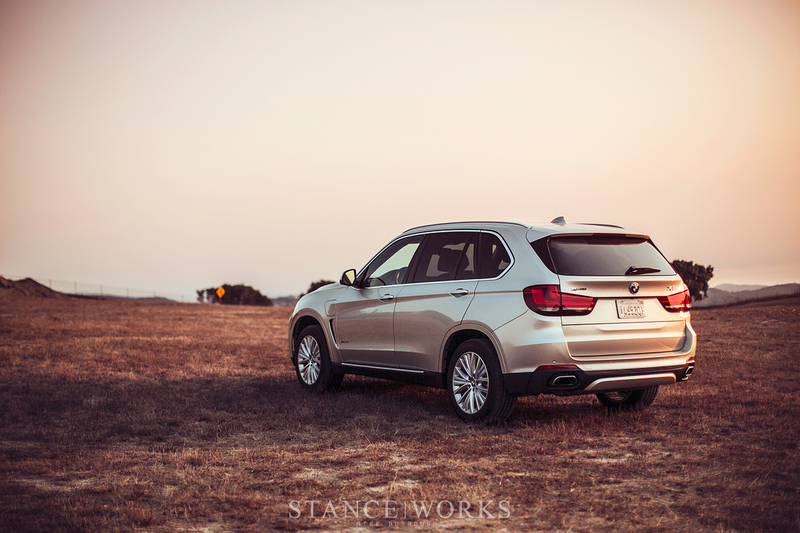 As guests of BMW, the trip has its perks, new SUV included. 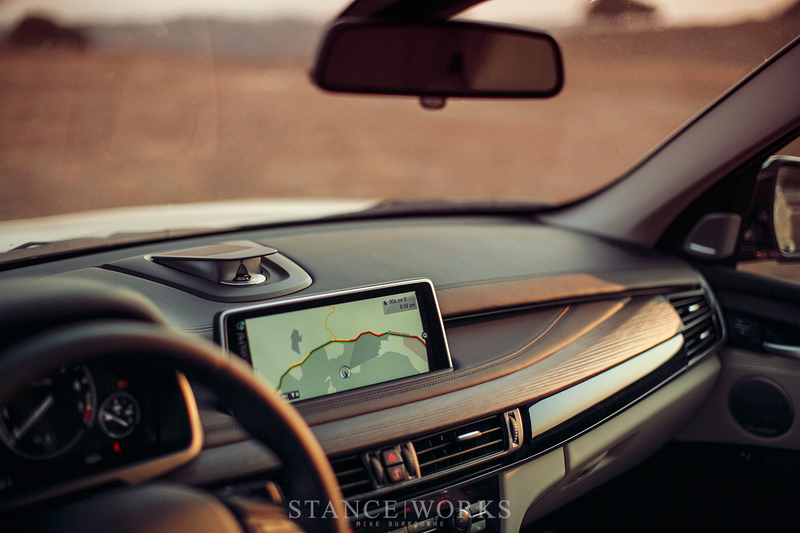 Typically, our drive includes something a bit more inspired, with past years including M5s, M6s, and even a month-long taste of the yet-to-be-released i8. In contrast the X5 seemed... despondent. And in many ways, it was... there's no part of me that can lie and say it was as great as a 550 horsepower touring sedan built specifically to carve mountain roads. That doesn't mean, on the other hand, that the x5 xDrive40e wasn't impressive in every right of its own. A six-hour drive is a cake walk. I've done it countless times, and in contrast to my half-dozen or so trips from coast-to-coast, it seems rather inviting. Driving an SUV for six hours, on the other hand, isn't necessarily how I'd choose to do it. However, BMW has, believe it or not, stuck to their mission statement of producing the ultimate driving machine. As we made our way north through Los Angeles, the comfort of the truck was surpassed only by the best BMW and the rest of the industry has to offer. iDrive has finally reached its stride, the fit and finish of the interior was top-notch, and the accessories, such as the rear TV screens, made for somewhat enjoyable time in traffic. 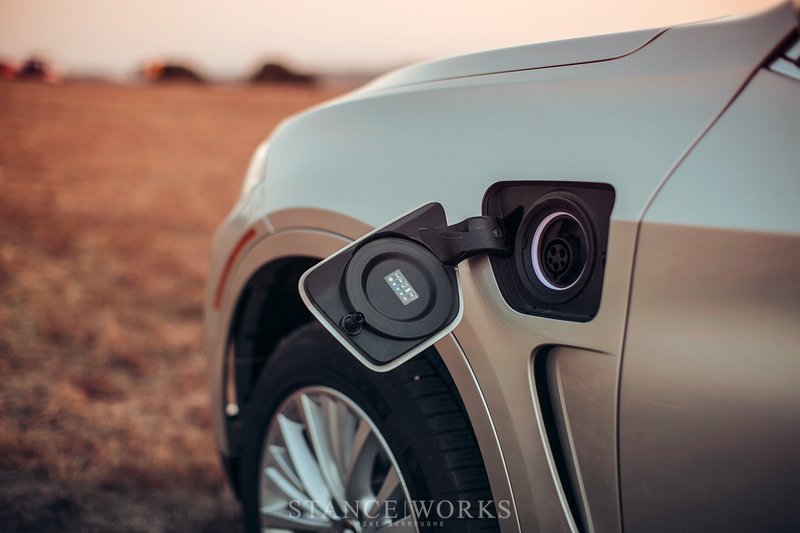 The hybrid-electric driveline made for incredible fuel economy in the city, where it matters most. While the 20-mile range is almost laughable at first, those 20 miles through the densest traffic undoubtedly saved us a fuel stop on our way to Laguna Seca. 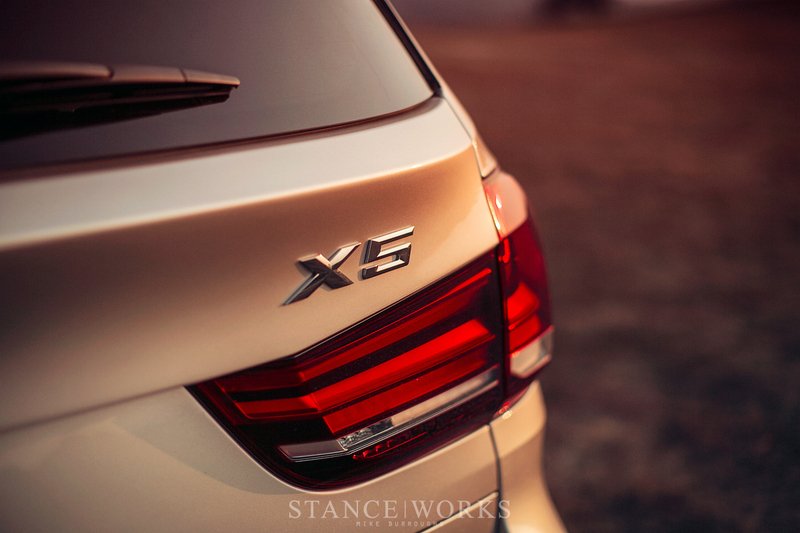 It was once we reached open road that the X5 truly began to shine. The straight shot of i5 through the Californian farm lands made for the closest Autobahn-like experience we've had this side of the Atlantic, tackling the open road smoothly, with no regard of its own for the speed limit... the truck left that to us. Eventually, we reached the mountain pass, with switchbacks and tight curves that, in years passed, have made for the best part of the drive. Having tackled some in my Toyota Land Cruiser, the same beloved roads have also earned a loathed spot within. Promoting body roll and slow speeds in something less-equipped for corner carving, the streets beck and call only for those suited for them. 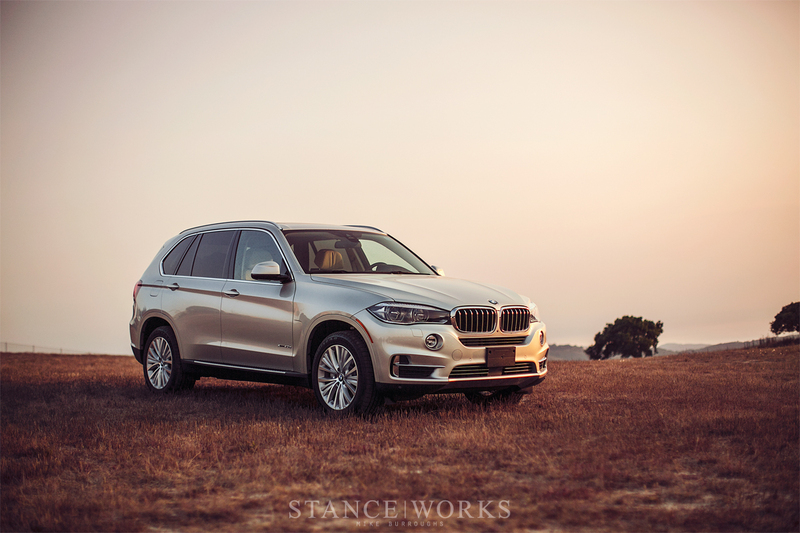 Thankfully, the X5 and its sport-adjustable suspension made phenomenal work of the turns. There was no hiding the fact that I was behind the wheel of a 5,200lb large vehicle... what is important is that the 5,200lb large vehicle didn't mind a bit. In fact, it made short work of the section, keeping it far more enjoyable than many more low-slung rides. Our luggage and camera gear stayed in place in the ample room of the rear of the truck - and we were lucky to have it. Initially, the car for our trip was to be the new 7-series sedan, but our disappointment with the switchup was met with relief when we attempted to load the truck. The drop-down tailgate also made for the perfect track-side station for camera lens swaps and gear storage. 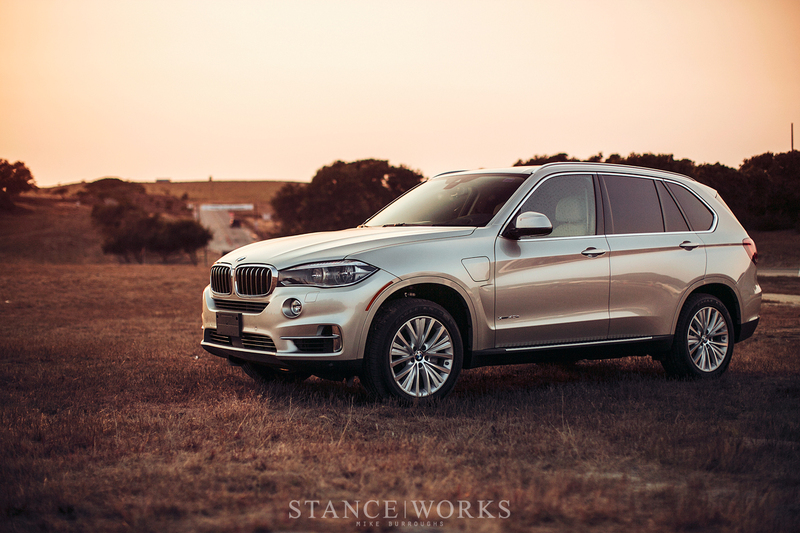 Overall, BMW's X5 left an impression - and a good one at that. Between Andrew and I, our ten cars land at an average year of 1981, and we like it that way. And even with that said, we were thoroughly impressed by the large, new-fangled SUV. So this is where SW is going? X5 reviews? zombiedog I thought it was a good read honestly. zombiedog If you aren’t interested in X5s, just move on to the next article. This article’s contents shouldn’t have come as a surprise, given the header image. Interesting. I actually really enjoyed this. I love how you guys are trying different things.